You can correct this in two steps. First, unregister the com.vmware.vcops extension using KB1025360. 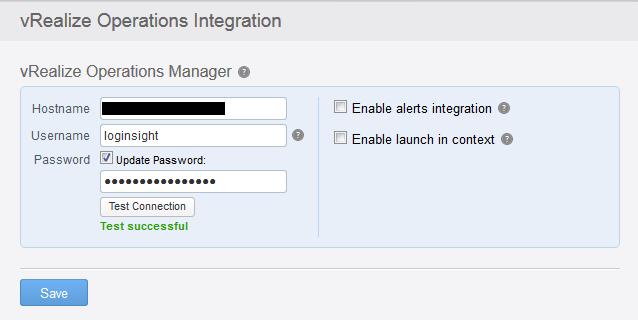 Then, use KB2135740 to register your updated vROps server. Use the MOB to view the newly registered extension and ensure it has the correct url and version values before continuing. If you have trouble with the new registration, check out KB2146360 for another method before opening a VMware support case. If you feel more comfortable rebooting the entire VCSA, rather than an individual service, that should suffice as well. Thus shaves the first yak. Yay, it’s working! Well, almost. Two yaks shaved, one to go. 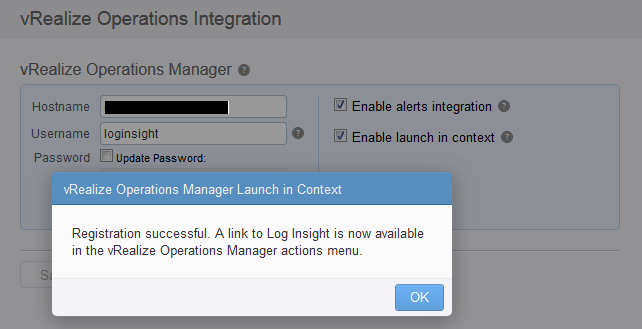 When you log into vROps, you want to have SSO enabled, otherwise only only local users who have the administrator role will see the context menu. I thought I did, but the All vCenter Servers login option isn’t actually SSO, it’s using vCenter as an authentication system. Slightly different. 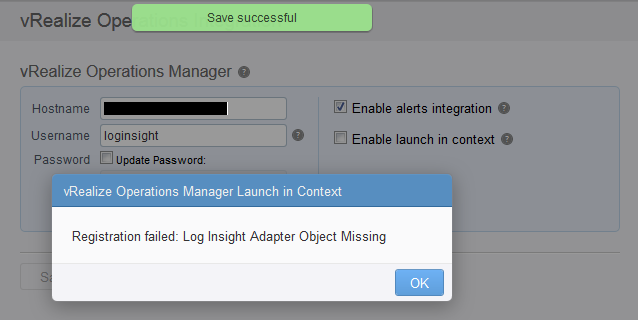 If SSO were working, you’d be able to log into the vSphere Web Client, then connect to vROps and choose SSO and log in without having to enter authentication information again. If you don’t have that set up, when you log in, you will NOT get the context menu to launch in context. Whew, that was a lot of yak shaving, but we can now launch in context successfully and everything just works. I hope this helps others who want to enable this integration!